So did I. 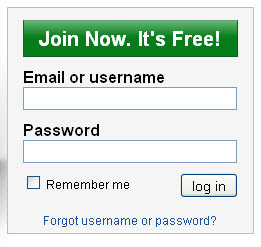 The "Join Now. It's Free!" looks more like a header than a button.